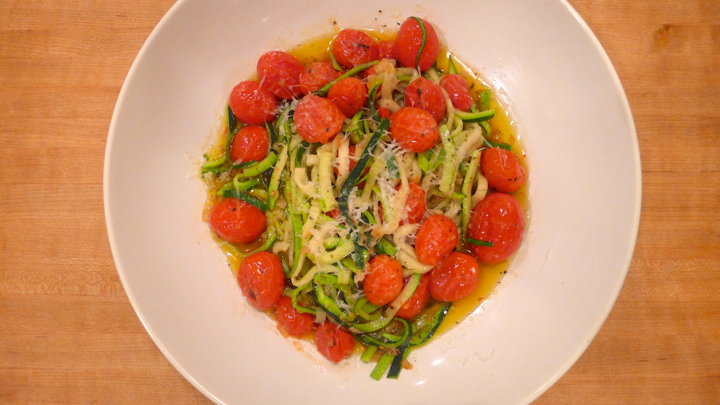 I finally bought a spiralizer and have been making “pasta” out of any vegetable that enters my home. Well those that can be spiralized anyway. 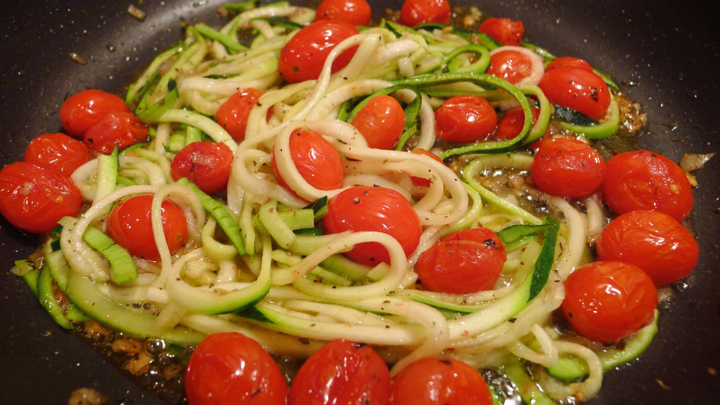 My favorite is the zucchini “zoodle” though. 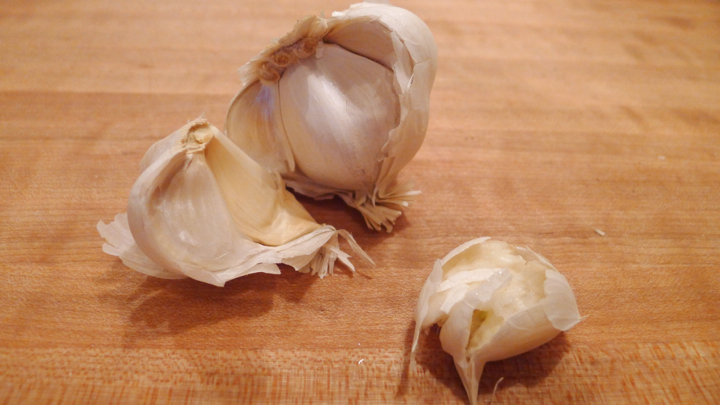 It’s amazing how it totally satisfies your pasta craving without eating the real thing. 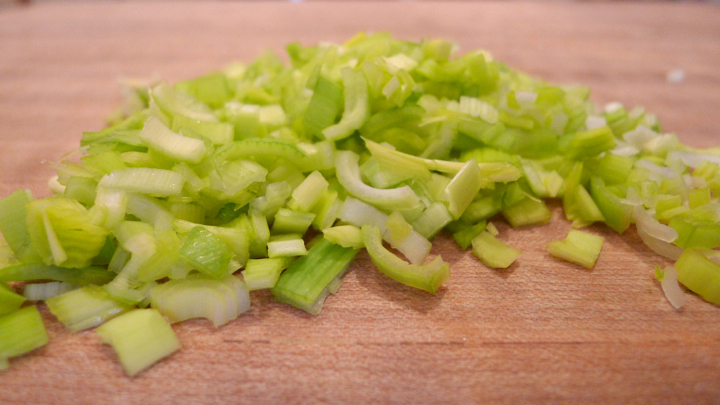 I also like how the vegetables soak up a lot of the sauce, making them very flavorful. 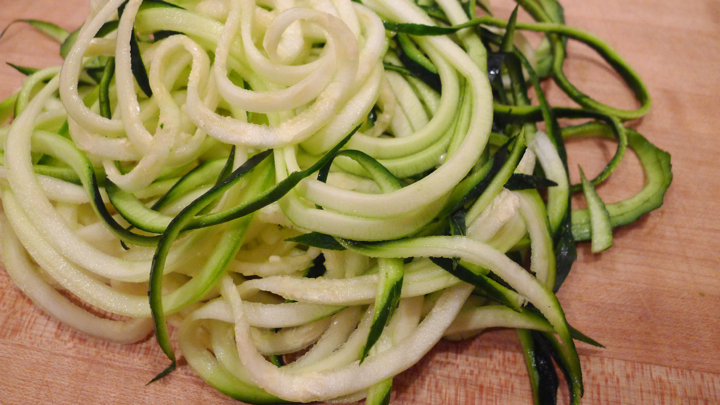 If you don’t have a spiralizer yet, I would definitely recommend getting one! 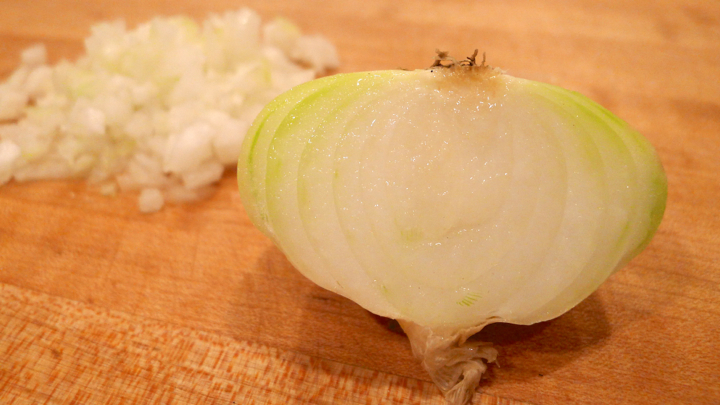 Heat a good amount of olive oil in a large pan and add the garlic, onion, and leeks. Cook for about 3-4 minutes over medium heat. 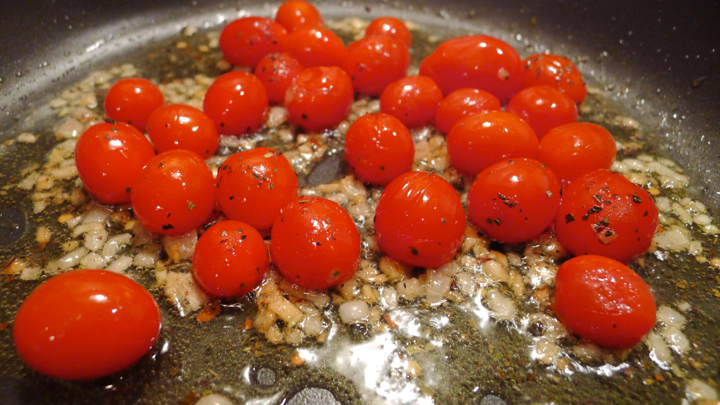 Add the tomatoes, salt, pepper, and red pepper flakes. 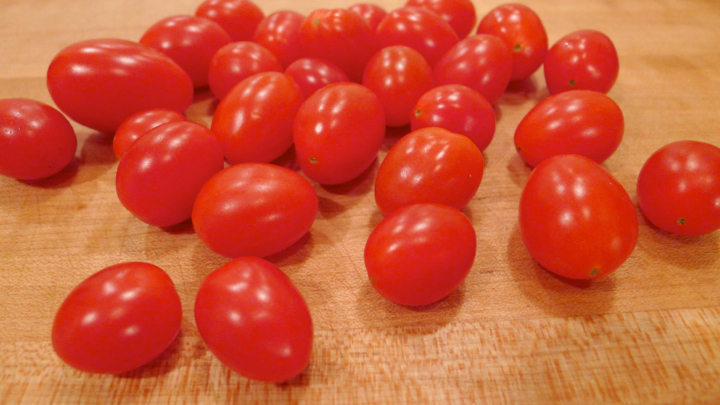 Cook until the tomatoes begin to burst, about 5 minutes. 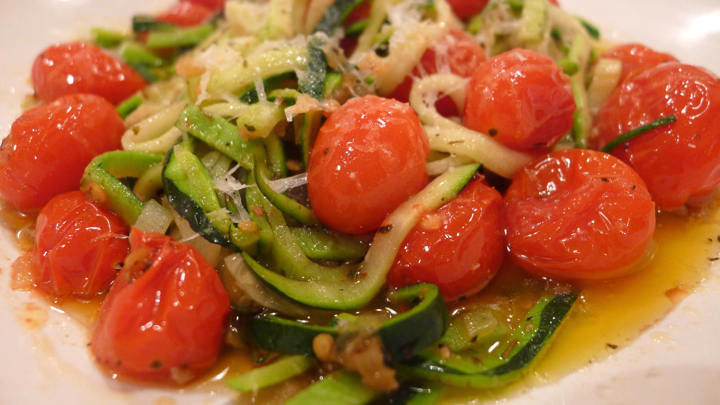 Toss in the zucchini and mix well. 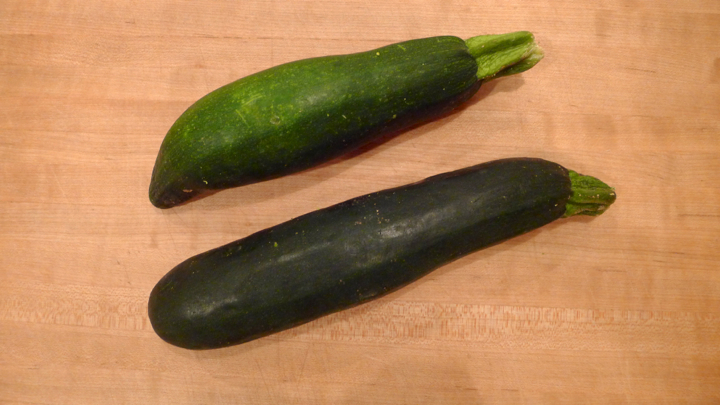 Continue to cook for about 3-4 minutes or until the zucchini is tender. 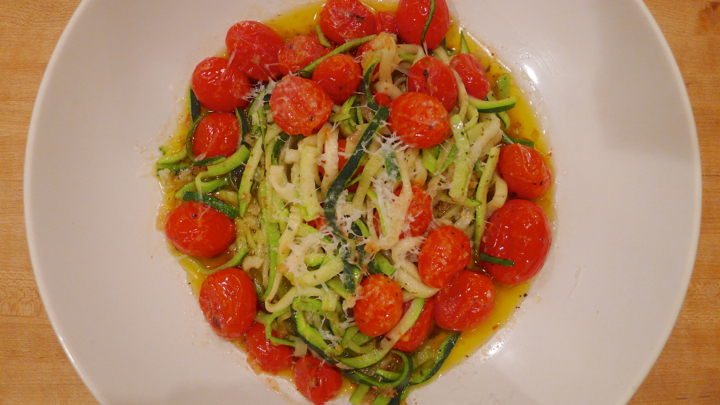 Serve in a large bowl with fresh grated Parmesan cheese.